If you have already subscribed to the weekly Talk in French newsletter, you’ll know that in every issue that comes out on Sundays, I feature a Question of the Week. Beginning this week, I will also be publishing here in the blog some of the questions I answered in the newsletters. Some of you might have the same questions so these series of articles could be a good additional resource for you as well. Bonjour Aijaz, you sent a short question but my answer is somewhat long. I will, however, try to make it as short as I can. The long history: French cuisine has been here for quite a while. The earliest French chefs started making extraordinary meals for the royals and nobles as early as the middle ages. The set standards: To some this might not appear very important, but it actually makes all the difference. The French dishes have been standardized for some time now. Not many other foreign cuisines have these kinds of standards which is the main reason that techniques from French cuisine are being used by culinary schools across the globe. The sauces: Many sauces you enjoy have roots here in France. The sauces can be a huge differentiator especially when the meat is just so-so. Sauces are what elevate the cooking and there are plenty of ways to cook the same meat using different sauces. The French chefs completely understand this that’s why they developed a vast array of choices. The diverse French landscape that made way for diverse ingredients: France is gifted with different types of landscapes. Add to that the country’s location which is right in the middle of several countries. All of these factors combined have led to a cuisine which is influenced by the nearby countries and a land that could grow different kinds of grains, fresh produce, and healthy livestock. The result is the highly diverse food in France which puts a strong emphasis on the freshness and high quality of the ingredients. I hope my answer as well as the articles will help you understand and appreciate the French cuisine better. The second question featured today is a very useful one; so we should definitely thank Oren for asking it. “When should you pronounce the s in “plus” and when to keep it silent? I will answer the second question first. Plus does not mean less in French. Less is « moins ». But I think you mean « not anymore / no more or neither». In this situation, you should not pronounce the S.
Moi non plu(s), je n’aime pas le chocolat (Me neither, I don’t like chocolate). You pronounce the S in plus when you mean « additional/ more ». For example : Je veux plus de chocolat (I want more chocolate). To illustrate again, depending on how you pronounce (or not) the S in plus, the same sentence can have a different meaning. Je veux plu(s) de chocolat = I don’t want any more chocolate (Ne can be dropped when you speak in informal French). Je veux plus de chocolat (Plus with S sound) = I want more chocolate. A bit tricky, I know, but I hope my simple explanation helped. 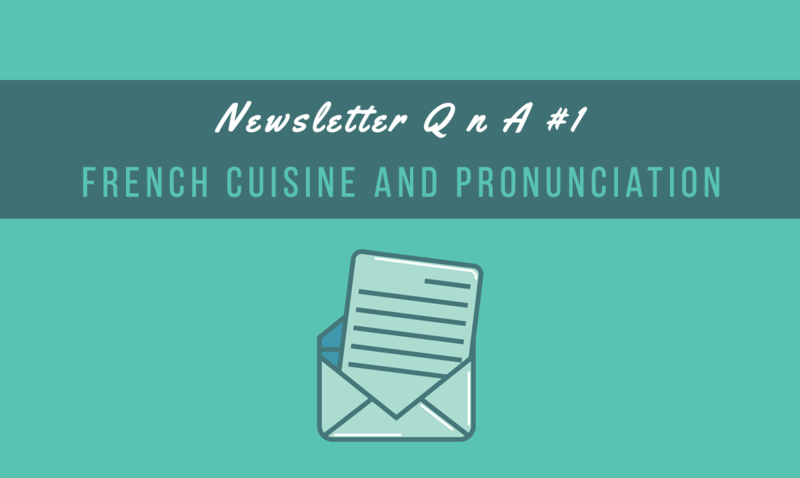 Do you have questions about French language and culture that you would like to share with the rest of the newsletter subscribers? Send me an email at Frederic@talkinfrench.com. I’ll try my best to answer all of your questions in the weekly newsletter. Also, don’t forget to subscribe and be part of the Talk in French community! Click the photo below to join. You’ll also get loads of freebies when you do.